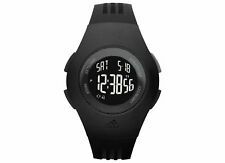 Lifemax Talking Memo Watch Black 428BLK. Dispatched with Royal Mail Signed For® 2nd Class. 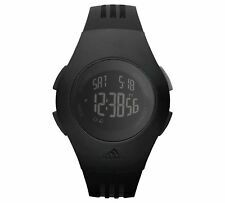 Adidas Performance ADP6055 Furano Black Unisex Watch RRP £44.99 BARGAIN . We will do our utmost to resolve any issues. Black dial. Black plastic adjustable strap. Case width 36mm. Plastic case. Black plastic case with a black rubber strap. Fixed bezel. Dial Type: digital. Solid case back. Case size: 42 mm. Case thickness: 13 mm. Round case shape. Band width: 18 mm. 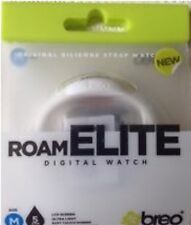 Breo Roam Elite Features This now iconic design is in pristine white, this Breo’s Roam Elite watch is ‘fashionable’, ‘robust’ and ‘stylish’. RRP £14.99! So it’s not just durable and robust but suitable for water sports like surfing, snorkelling and swimming. Alarm clock function included. Stop watch function included. Strap length: 25 cm. Weight :60g. Model number adp6060. Watch features: Grey dial. Face width 36mm. Easy to read dial. Plastic case. Blue and white plastic strap. Self adjustable links. Buckle clasp. Stainless steel plated. This watch cost £189 from Amazon UK. Dial Window Material Type. Band Material. Band Length. Band Width. Stainless Steel. Band Colour. Condition is Used. MPN: MKT5004. Backlight in blue. Signed buckle. Tough resin case. Fully working.Unisex Teens design. Very good condition. 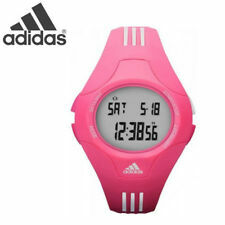 Smart Pre Owned ADIDAS Sports Wrist Watch. 37mm case - 12.5mm case depth - lug to lug ~47mm -. ADIDAS PERFORMANCE ADP6055 FURANO WATCH. Adidas Denver Digital Watch - Blue. > Large clock face. WANT TO PLACE A LARGE ORDER?. 50M waterproof design (Note: 1. Not suitable for swimming, diving, shower, etc. 2. Do not operate any buttons when the watch in water), especially suitable for outdoor sports use. 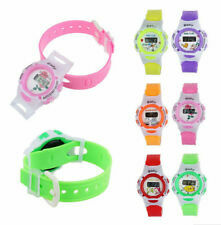 Material: durable hard plastic (watch case), stainless steel (back case) and soft rubber (watchband). Digital Display. Full Spec As Follows. Stainless Steel Case. It is listed with aB uyI tN ow price of only £11.49. Easy To Read Dial. Moon data (Moon age of the input data, Moon phase graph). In that case you would need to get the battery replaced which is generally expensive. All stainless steel watches do not change colour throughout their life except natural scratches during usage. 164 Ft / 50M waterproof, surfing, shower, hands washing, raining all NO PROBLEM. 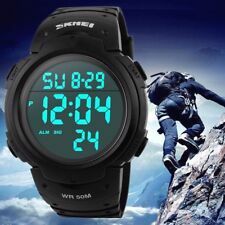 Digital Sports Military Watches Waterproof LED Casual Watch. 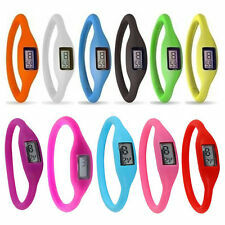 5ATM Waterproof:feel free to wear the watch in outdoor/gym activties. Men's Timex Ironman Triathlon Indiglo 30 Lap WR 100 metres Sports Watch. In excellent condition hardly been worn. In good working order with a new 3 volt battery fitted. Model: 428BLK. Studio: Lifemax. Type: Watch. Orders will be fulfilled by our own warehouse or a 3rd party supplier at our discretion. TEXTBOOKS & EDUCATION. GARDEN & OUTDOORS |. COMIC BOOKS. COLLECTIONS & LOTS. It Features A Unique Oval Case For A Sleek Look. Dial - White Silver Sunray With Light Golden Index Markers At 3 6 And 9 Oclock. Strap - Golden Fabric With Light Golden-tone Coated Ardillon Buckle. Case depth approx: 14mm. Case width approx: 37mm. Source: Genuine. Model: AQ-140W. Clasp type: Fold over clasp. 50M water-resistant. There is no need to take off the watch while swimming or taking bath. 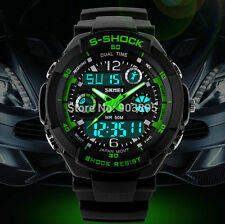 Waterproof: 50M water resistance. (442 mix box). LCD display. Night vision mode supports five colors changeable.